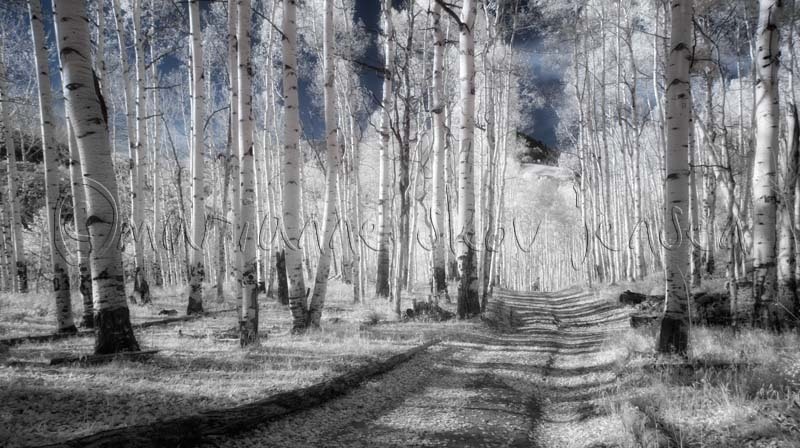 Several trails off Snowbowl Road intersect with the Arizona Trail. 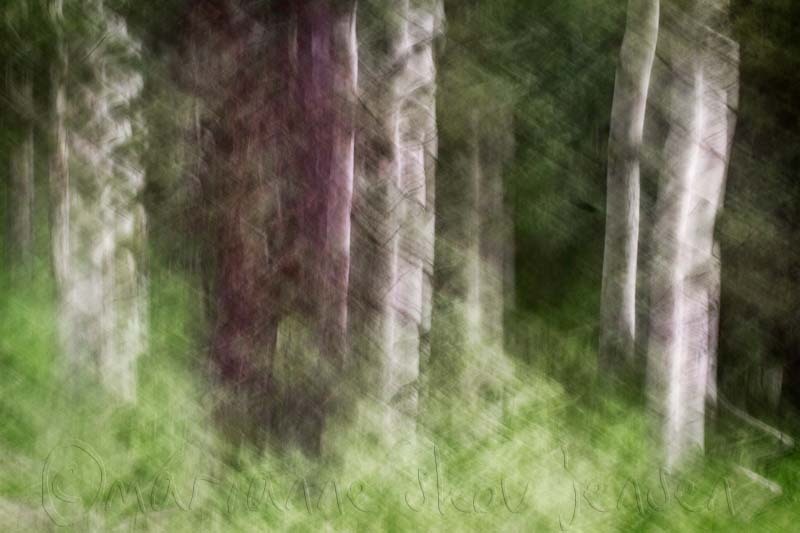 Today my friend Judi and I hiked a portion that starts close to Aspen Corner and goes past Apsen Nature Loop. This particular trail goes all the way to Bismark Lake. 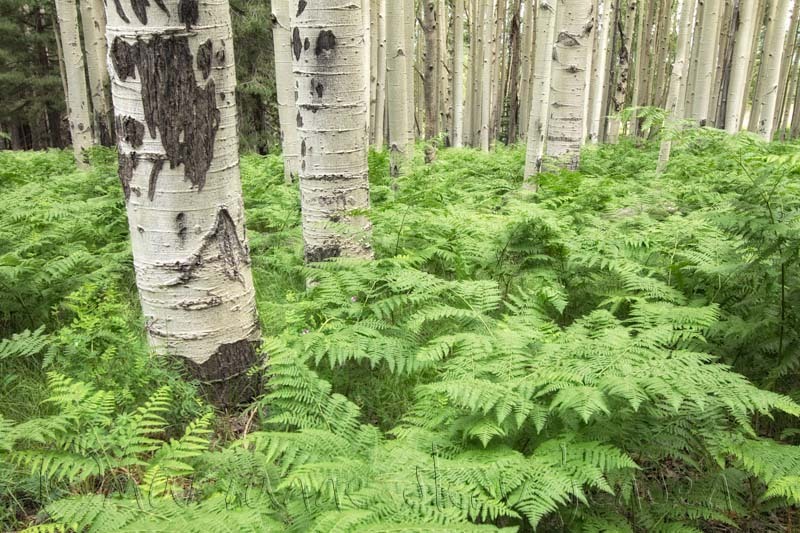 At about the 2 mile mark, is the most spectacular stand of Aspens and the forest is thick with ferns. I could have stayed for hours just photographing but that’s not Judi’s thing and I knew I’d be coming back in mid August. Can’t wait! 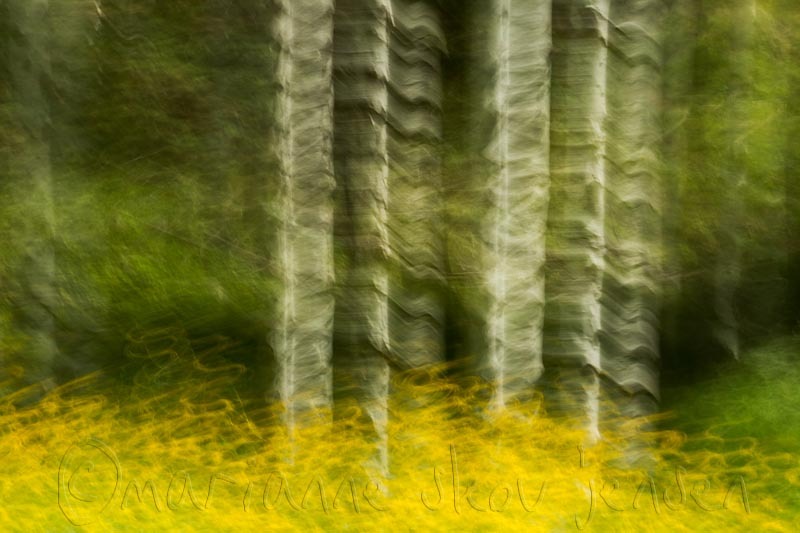 Arborglyhps were a form of communication between Basque Sheepherders as they blazed their way West. Although I can’t be sure this is actually one of their marks, many are quite detailed. 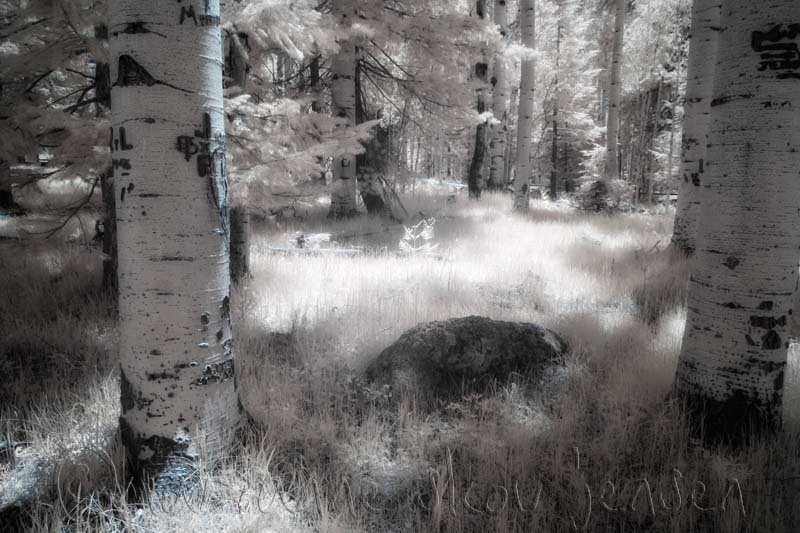 I shot some Infrared in Colorado too. Here’s one of my favorites. 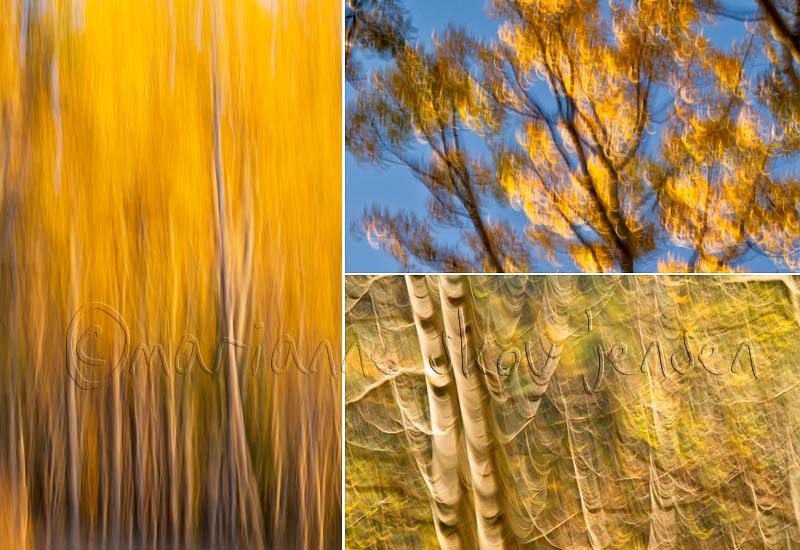 These Aspen tree abstracts were created by moving my camera during the exposure. I would venture to guess that Last Dollar Road is the most photographed road in Colorado! It’s absolutely breathtaking in the fall but also excellent in Summer because of Wildflowers. I couldn’t find the origin of the name but I seem to remember it had something to do with a miner. 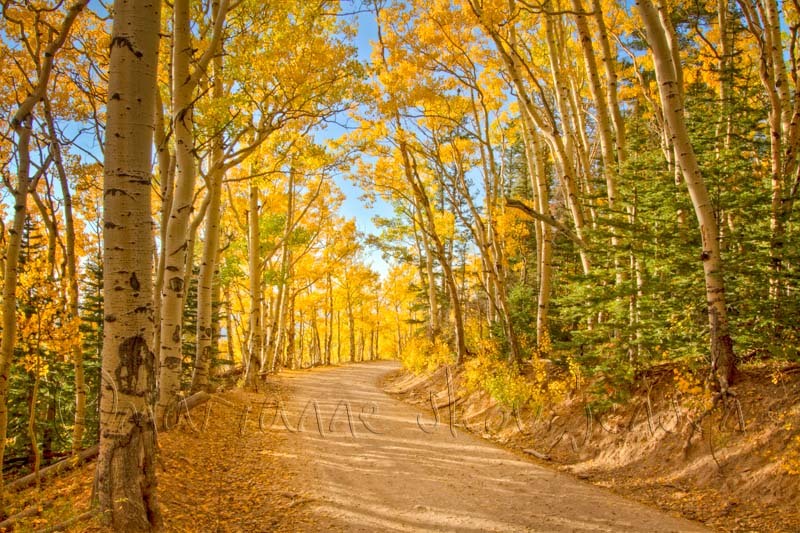 Back in the 1800s, Last Dollar Road was a trail used by Basque sheep herders. 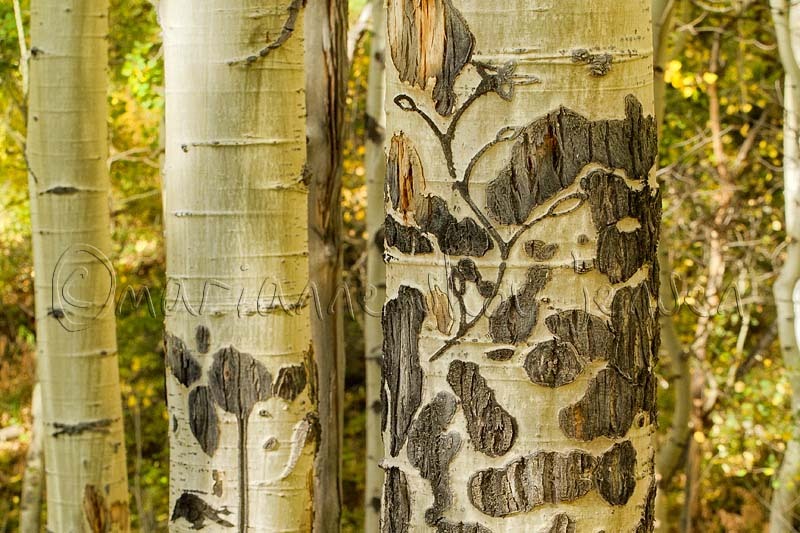 You can still see evidence of their carvings in the aspen trees.